Iconic Australian Trademark word -"D"
This month our series on Great Australian Brands and Iconic Trademarks takes us to “I” and two, three-letter brands. Australia’s population is hovering at just under 25 million. Although this may sound like a solid figure, the city of Shanghai in China has the same population. Ironically, although the only country in the world that spans an entire continent, the vast majority of Australia’s people (90%) live in cities. The cities – Sydney, Melbourne, Brisbane and Perth – are the home of over half the population. Given these extreme demographics, Australian brands may be fewer in number, but the ones that make it to the top of the marketing list matter more. This is particularly true of the two largest supermarket chains – Coles and Woolworths – that dominate Australia’s supermarket landscape creating a virtual duopoly. Each chain has close to about 1000 and together they account for about 80% of the Australian supermarket market. That doesn’t leave much room for other players. Ironically, while, Coles and Woolworths are and always have been Australian brands, IGA started off as a U.S. brand namely the acronym for Independent Grocers Alliance, The reason that we’re including it here among “Iconic Australian Brands” is that it’s a curious example of a brand in the process of becoming Australian and iconic. That process began in 1988 when Davids Holdings (now Metcash) established the Independent Grocers of Australia starting with only 10 stores. There are now approximately 1400 IGA stores across Australia, making them nominally, larger than either Coles or Woolworths. Coles and Woolworths are respectively owned by the groups Wesfarmers and Woolworths Limited. In contrast IGA stores are owned independently by franchisees. In that sense IGA is an example of how trade-marking in Australia can create a brand and an identity, essentially using branding to gain competitive advantage. While the words Independent Grocers of Australia would not have been sufficiently distinctive for trade mark purposes, the letters IGA certainly are a badge of origin. IGA is also a great example of role reversal. Whereas the “Australian” brand of Arnott’s Biscuits is now owned by a U.S. company and Foster’s Lager is owned by several non-Australian companies, the American brand IGA is now owned, at least in Australia, by Australians – an example of the magic that specialist intellectual property lawyers in Sydney (and other Australian capital cities) and teams of marketers can perform given enough time. Great brands aren’t built in a day. Sir Henry Jones was born in Hobart on 19 July, 1862. At the age of 12 he began working at George Peacock’s Jam Factory. But 17 years and hours of hard work and overtime later, Henry bought the company in 1891. His personal motto was “I will excel in everything I do” and the motto became a brand in 1898. Knighted in 1919, he became popularly known as the “Knight of the Jam Tin”, since, unlike most modern jams that are sold in glass jars, IXL jams were sold in tin cans for many decades. By the time of his death, he was arguably Tasmania’s most successful businessman, going from preserves to interests in timber and tin and leaving a personal fortune which in today’s terms would be about $200 million (depending on how you do your sums). But it will be for his jams that Henry Jones will always be best remembered. 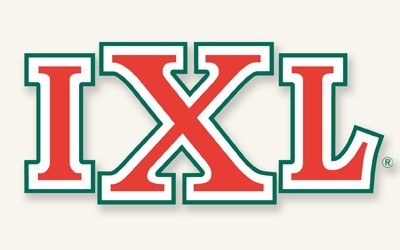 The IXL logo has changed many times over the decades , but those three letters remain iconic, especially the big “X” in the middle. IXL is now owned by SPC Ardmona Operations Limited, which in turn is owned by Coca-Cola Amatil.